The Brick Castle: Chromecast Giveaway in association with JNB Aerials. Chromecast Giveaway in association with JNB Aerials. 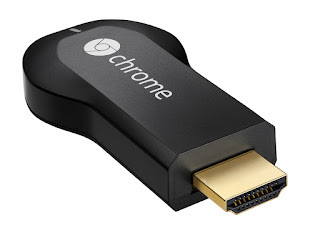 If you haven't heard of Google's Chromecast then you could be missing a trick. It's a handy little gadget that allows you to watch what you can watch on your phone or tablet - on the big telly! I'm being given one myself, and I've got one to give away thanks to the lovely people at the Manchester based JNB Aerials. The Chromecast is a really small USB style device that plugs directly into the TV in a HDMI port. The Chromecast then talks to your phone or tablet when you tell it to, and it will stream your movie, music videos, TV shows etc directly to the TV. Chromecast works with several apps, and that number is growing all of the time - they include Deezer, Netflix, BBC iPlayer, Now TV and others. Chromecast costs £30. Find your favourite apps and discover more at chromecast.com/apps. 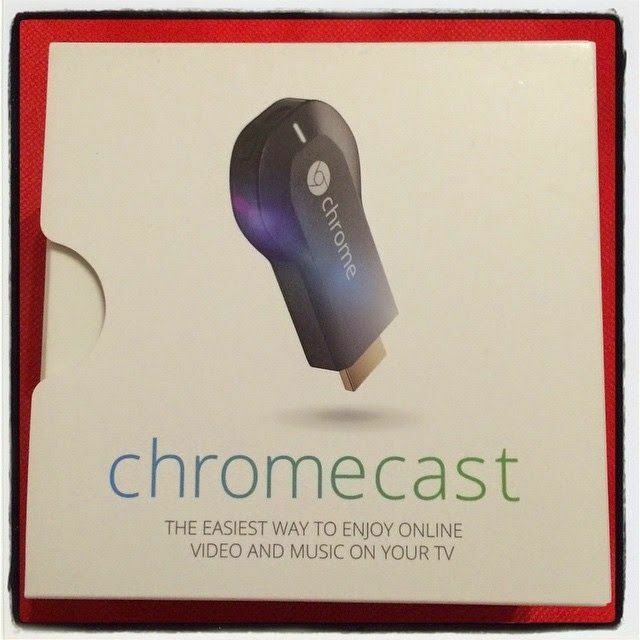 With a house full of teenagers this isn't our first Chromecast - we bought our 17 year old lad one for Christmas! It's proven incredibly useful and he loves it. It's perfect for streaming our Netflix onto the big screen telly while someone else is using the Playstation on a little TV. JNB Aerials are the UK's no.1 aeriel and satellite installer, which is quite a feat for the 5 year old company. They offer same day aerial repairs and installations, and operate all across Manchester and the Northwest, including North Wales. Handy if your aerial blows down the night before that 'must watch' TV show. They have kindly offered a Google Chromecast as a prize for one of my readers. Entry to the giveaway is by Gleam form below. All tasks are optional and the giveaway will end at midnight Friday 28th August. UK entries only, please note the terms and conditions on the Gleam form. I woul watch movies on Blinkbox and catch upon Easteners an the dramas on iPlayer! House of Cards, and lots of films. I would watch breaking bad! I have a Netflix account so I would probably watch Battlestar Galactica on there. Really watch to watch the buffy tv show again. Still need to watch Firefly. Anything on Netflix. Lots of zoning out to good shows. I'd use it to watch films on Plex. I'd probably carry on with House of Cards or see what films are available. I'd use it to watch Netflix. All that I can on Netflix! I would mainly use it for watching catch up on BBC iplayer. I would like to watch Ripper Street. I'd re-watch The Walking Dead in prep for the new season! i'd stream funny videos from my youtube on my phone to the tv for the kids! Probably Peppa Pig if truth be known! game of thrones and walking dead !! I would catch up on Great British Bake Off because I'm sure to miss a few episodes as I'm always busy on an evening. Having never see Game of Thrones or Breaking Bad I would start with those. Entire seasons of Friends and Breaking Bad all over again. Foyle's War - and anything at all with Michael Kitchen in it. I would start GOT or The Walking Dead again from the beginning - getting withdrawal symptoms from both! Use it to link my iPad to my bedroom tv so I can watch all my favourite programmes that my husband hates! I've still not watched breaking bad so that would be top of my list! Game of Thrones - haven't seen any of the new season yet. I'd give it to my eldest son as it's 13th birthday next month and I'm sure he'd love to watch 20-something seasons of The Simpsons on it!! I wod watch Suburban Gothic! I'd watch some of my youtube music through it so it was more like I was at a concert. I would catch up on Parks and Recreation. Everything! I need more TV in my life! I've been so busy with my wedding this month I've missed loads so I'd use it to catch up! If I don't win this I'll sulk in the corner all day! Probably football on BT Sport. The new season of Strictly Come Dancing. Lots of family movies and programmes. I'd like to catch up on programmes I've missed. The programmes I keep missing and having to watch on the tablet or laptop - it would be bliss to be able to watch them on the tv instead! sports. football and wrestling broadcast online.